You Must Try! Coffee Mask For Fresh Face! While scientists have been debating whether the coffee is healthy or not, how much coffee you should drink daily, etc. One thing is certain, the coffee is great for the skin when it comes to autumn care. Maybe you did not know that coffee strengthens your skin, reduces wrinkles and facial swelling. Cocoa dries your skin and gives freshness and makes it soft, and at the same time and soothes irritated. 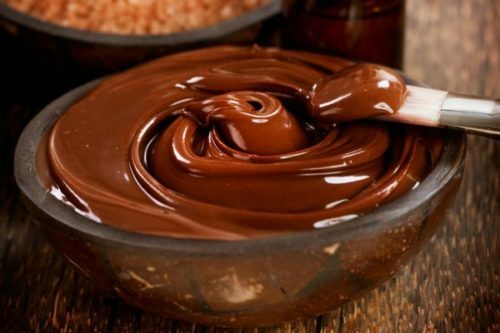 When you put in a combination coffee and cocoa in a mask, it will increase circulation to your skin. Combined, these ingredients nourish and get younger skin. The best about this homemade face and body mask is that all the ingredients you already have in your kitchen. This mix smells incredibly good, but the glow that your skin will have with a treatment will be even better. Coffee is rich in antioxidants, which are great for your dry and tired skin, honey makes the skin smooth and soft to the touch. Ten years ago lot of companies starts to use caffeine for the preparation products for face and body care. But now you don’t need to spend to much money for this products. This mask you can make it at home. The ingredients presented below refer to a face mask. If you want to make mixture for the entire body duplicate the recipe. First clean your pores with a handkerchief with hot water. Then you can apply mask on your face. Leave it for 20 minutes and then start to massage the scrub. Then wash it with warm water. Coffee – Coffee reduces inflammation and redness the skin. Also it can eliminate dark circles around the eyes. It helps to remove dead cells to. Cocoa – Cocoa is rich with antioxidant. They can restore skin damaged by environmental pollutants and neutralize free radicals. Cocoa contain big amount of sulfur who is the main destroyer of acne. Milk – Beautiful Cleopatra bathed in milk, and with that she takes care for her skin to shine and be soft. Natural enzymes in milk help to smooth skin and amino acids keep her hydrated. Honey – Naturally moisturizes and keeps it fresh. Coconut oil – Coconut oil acts as an effective moisturizer for all skin types, including dry and cracked skin. It slows the appearance of wrinkles and relaxing the skin, and premature aging, and helps in the treatment of various skin diseases (psoriasis, dermatitis, eczema).